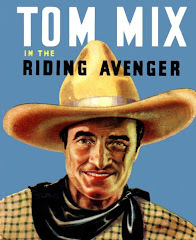 TOM MIX OZ MUSIC: MY MIXES ARE APPEARING ON YOUTUBE. 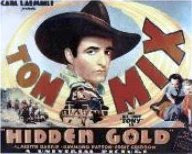 MY MIXES ARE APPEARING ON YOUTUBE. SADLY, MOST OF THEM HAVE NO CREDIT MENTIONING WHO MADE THEM - THAT WOULD BE MOI! I've just discovered one of my earliest extended remixes has been put on YouTube by an admirer who made a film clip using stills of the artist, Pussyfoot. Donna Jones (Pussyfoot), first had a hit with 'The Way You Do It' back in 1976 which was banned by the BBC for its suggestive lyrics but was a massive seller in Oz. She had an equally big hit in Oz with the follow-up 'Ooh Ja Ja.' Her co-writing husband Mick Flinn, was part of the Oz group The Mixtures who had a hit in the UK with the charming 'Pushbike Song.' After Pussyfoot folded Donna became a member of The New Seekers. Nice to know that rare and obscure Ozzie hits are getting a bit of a revival. The dance craze songs of the era included The Bump, The Hustle, The Bus-Stop and this one, Ooh Ja Ja. Also just found somebody has lifted this remixed single and made a clip for it as well! Lee Kosmin was from London's pub scene in the early 1980s. It was a hit in Oz. Also just found somebody has lifted this extended remix I did ages ago and put a clip to it! This is becoming embarrassing - I've found more songs I have remastered! This is becoming very embarrassing - I've found even more songs I have remastered! This is becoming very embarrassing - I've found another one of my extended remixes! Another of my specialities - making megamixes for Oz bands. I've found another one of my extended remixes! This is becoming very embarrassing - I've found another one of my extended medley remixes!